The General Overseer of The Redeemed Christian Church of God (RCCG), Pastor Enoch Adeboye, on Friday, advised Nigerians to stop having sleepless nights over who will win next month’s presidential election. Adeboye spoke at the Obafemi Awolowo University (OAU), Ile-Ife, Osun State, during a two-day interdenominational prayer. While asking Nigerians to stop worrying about who will emerge winner in the next election, Pastor Adeboye explained that God is a ‘master planner’, who already planned the leadership development of Nigeria. 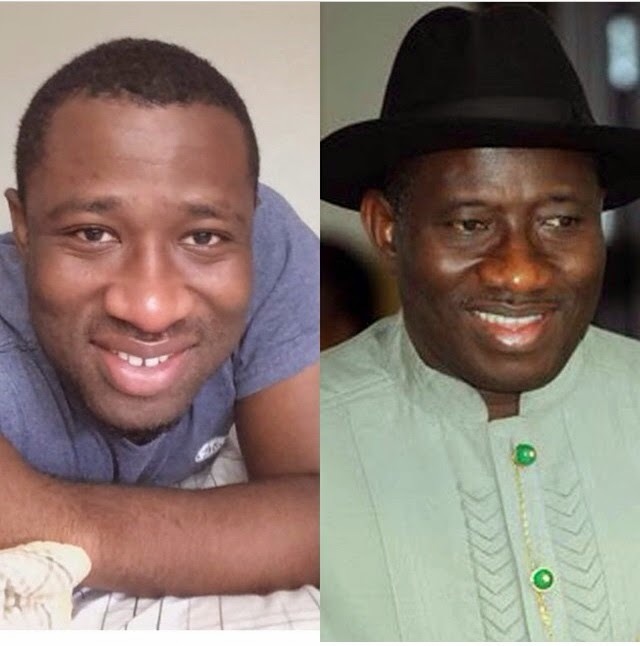 There are alleged reports that Ibime Belema-Jonathan, a 24-year-old native of Nembe, Baylesa, announced on Twitter yesterday that he is one of the president's illegitimate sons. "According to Belema-Jonathan, his mother was a receptionist in a Port Harcourt hotel (which shall remain undisclosed) when she met Goodluck nearly 25 years ago. Their relationship was made private because of the risks it posed to Goodluck's then fledgling political career. He has decided to disclose this information after recently being informed by his mother, who had just passed away. 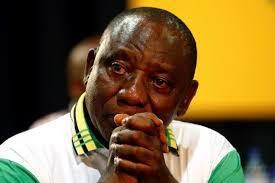 It is his desire for his father to assume and fulfill his fatherly duties after a lifetime of absence." President Goodluck Ebele Jonathan today undertook a surprise visit to Maiduguri on the occasion of Nigeria’s Armed Forces Remembrance Day. A statement by presidential spokesman Reuben Abati said he met with officers and men of the Armed Forces in the frontline of the war against terrorism and insurgency in the country. The spokesman said he was accompanied by the Chief of Defence Staff, Service Chiefs, the National Security Adviser and the Director-General of the National Emergency Management Agency. At the 7 Division of the Nigerian Army at Maimalari Cantonment, President Jonathan thanked officers and men for their patriotic and courageous service to the nation. He said Nigeria was very proud of them and grateful for their dedication and commitment to the defence of the civilian population against terrorists and violent extremists. The State House press release below..
(1) Think of the kind of nation the colonial masters bequeathed to us before leaving. They instituted different political, social and legal system in the North and South, but still ran the country as one and left us without any attempt at righting the wrongs they’ve instituted. Former Military President, Ibrahim Badamosi Babangida may go down in the history of Nigeria as the most loved yet most hated leader to ever rule Africa’s most populous nation. 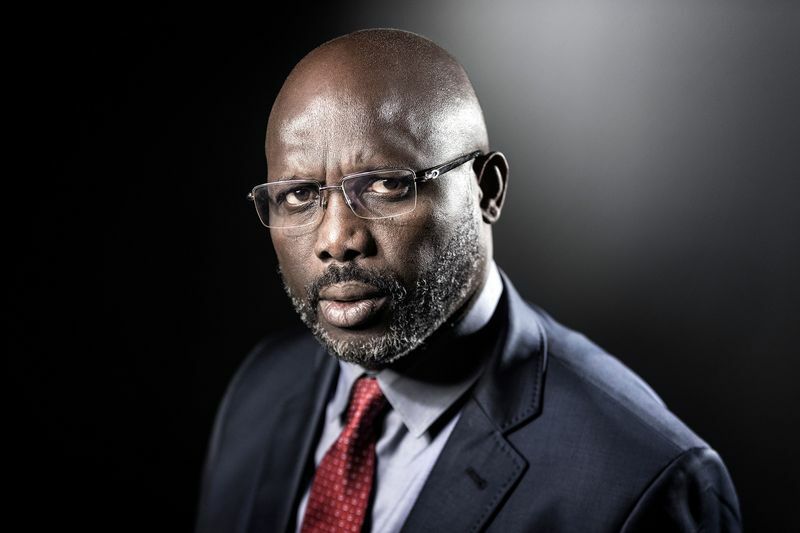 Such paradox marks him out as an intriguing personality, who remains a reference point in the political circle more than two decades after he ‘stepped aside’ from Aso Rock in controversial circumstances. In this rare encounter with a team from Zero Tolerance (ZT), a quarterly magazine published by the Economic and Financial Crimes Commission, at his Hill Top mansion in Minna, Niger State, the former leader offers rare reminisces on his leadership of the country and attempts a prognosis on the myriad challenges facing Nigeria. He spoke about why he led a coup that toppled the regime of Muhammadu Buhari and why he approved the killing of his bosom friend, Mamman Vatsa. We have the magazine’s permission to republish the interview here. The theft was perpetrated through a system glitch linked to the fraudsters, in which the bank suffered a huge loss of more than N806, 208,000. At the end of the Nigeria – Biafra war, folks on the eastern divide greeted each other with the prayer – salutation, ‘happy survival!’ It was a natural impulse that surged on meeting with a relative, friend or associate whose fate in the harrowing events had remained unknown to you. The scary signatures of the conflict were everywhere; intruding into your psyche even if you wanted to avoid them – malnourishment all around, blown up bridges, buildings pock marked with bullet holes, abandoned artillery pieces and cases of spent cartridges, queues for essential commodities and so on. It was merciful providence to be alive. A short while into the new season, prolific writer Cyprian Ekwensi published the novel, Survive the Peace. It was an artistic recreation of the transition from the trauma of war to the sobriety of peace. From the life of the characters, the post – conflict stage could be daunting without the right attitudinal responses. As it were, a key demand of pacification of a brutal past is coming to terms with its memory. Following the clamour for a formal burial for millions of Anambra indigenes who lost their lives in the Nigerian Civil War, the World War II and pockets of sporadic violence in the country, the Government of Anambra State today performed a formal rite of passage for the fallen heroes and heroines as well as the civilian victims of the Nigerian Civil War, the World War II, the pogroms and other ethnic and religious violence in the country. 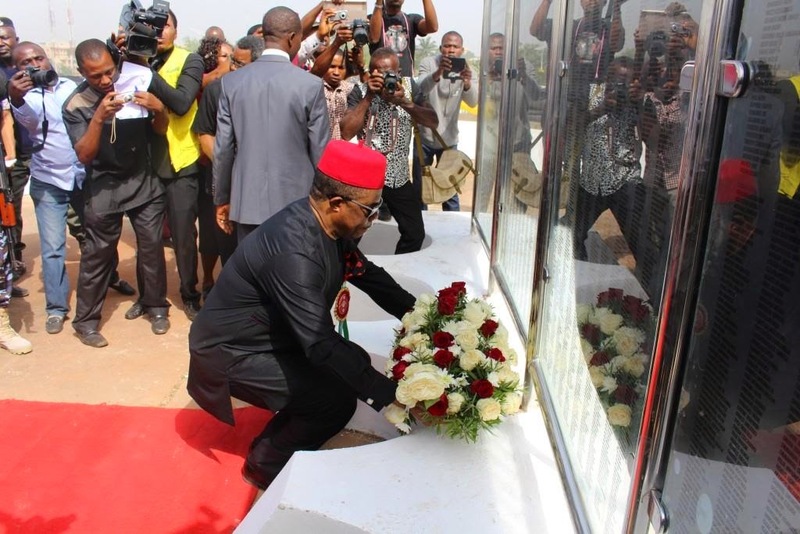 The very elaborate but solemn ceremony which took place at the Alex Ekwueme Square, Awka, attracted distinguished Igbo sons and daughters from the entire South Eastern geopolitical zone including the former Vice President, Dr Alex Ekwueme and the maverick billionaire businessman, Prince Engineer Arthur Eze, Chief Victor Umeh, APGA National Chairman and Captain Emmanuel Iheanacho, APGA gubernatorial candidate in Imo State among many others. According to findings, the venue was chosen to save the party the embarrassment of holding the rally at the stadium, where it may find it difficult to mobilise its supporters to fill the venue like it did during last year’s governorship election in the state. *Laity Council blows hot THE Laity Council across the nation has expressed worries over the reported gathering storm by the Catholic Bishops of Nigeria to sanction Rev Fr Ejike Mbaka over his recent comments on the state of the nation. Their worry according to Dr Paul Obi stems from the erroneous impression the move would give to the public and the international community about the intolerant posture of Nigerian government on freedom of expression. That this would cast a big shadow of doubt about our democratic development and plurality of opinions. The council members, in an interview with journalists in Enugu yesterday recalled that "our dear Anthony Cardinal Okogie had in the past bitterly criticized the administration of former Gen Ibrahim Babangida. No one attacked him then, or even now. The Catholic prelate who made the call at St. Patrick's Cathedral, Awka while assessing government's efforts in critical sectors of the nation's economy enjoined them to put more efforts in tackling insurgency in the North-east zone of the country . He was of the opinion that president Jonathan somehow met the expectations of the people in piloting the affairs of the nation in the out-gone year but equally stressed the need for more priority attention to be paid to the security of lives and property in the country . He observed that security in the country was something to worry about especially with the influx of Boko Haram elements . Bishop Ezeokafor stated that security agents should be commended for their resilience because according to him security agents put their lives on the line to be able to restore peace and orderliness in troubled states across the federation . presidential candidate of the All Progressives Congress, will defeat President Goodluck Jonathan. Amaechi also said that the APC in Rivers State would win in the governorship, state and National Assembly elections. The Catholic Bishop of Awka Diocese His Lordship, Most Rev. Paulinus Ezeokafor has called on Igbos not to pursue vendetta over their relatives who were slaughtered during the civil war, maitetesine of the 80s, and the other religious uprisings in parts of the North, including the current Islamic terrorism ravaging the North East. Bishop Ezeokafor in his homily, during the Ecumenical service to mark this year's Armed Forces Remembrance Day and symbolic burial of Igbos who lost their lives during the civil war, rather called for forgiveness. He praised the patriotism of those who laid their lives for the unity of this country and urged Nigerians to embrace peace the the unity and progress of the country. 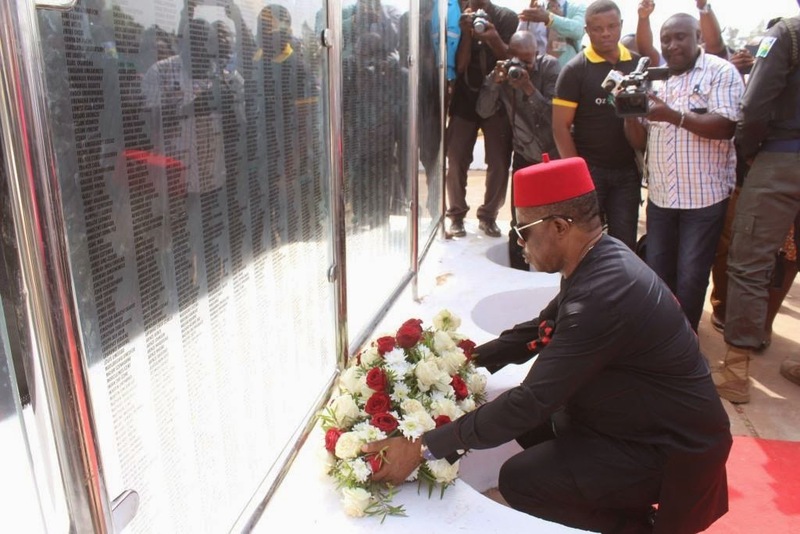 In his address on the accession held at the popular Ekwueme square, Awka, the Anambra state capital, Governor Willie Obiano of Anambra stated that the symbolic burial of Igbo war victims became necessary to ensure that Igbo fallen heros and heroines were accorded befitting burial so that their spirits can now rest in peace. The presidential candidate of the All Progressives’ Congress (APC), Gen. Muhammadu Buhari (rtd), on Tuesday gained an unusual support as the Islamic Terrorist group in the Northeast, Boko Haram, pledged its total support for the former military ruler. 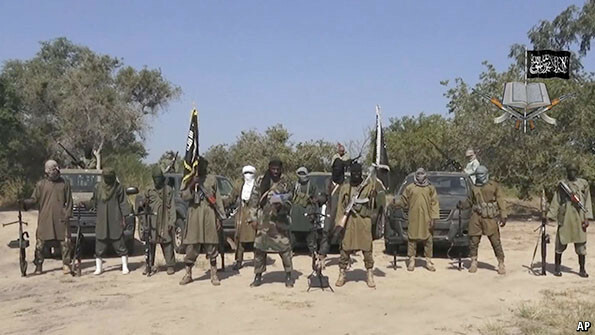 Boko Haram, in a lengthy press statement circulated through email by its spokesperson and a copy made available to The Nation Newspaper, Abubakar Shekau, anchored its decision on the need to deliver Nigeria, especially the northern region, from the crunching effects of poverty, underdevelopment and insecurity. It also lamented the unconcerned attitude of the President Goodluck Jonathan’s administration at the unrelenting degradation of the northern region environment, taking a hard stance also on the increasing insecurity in the northeast. 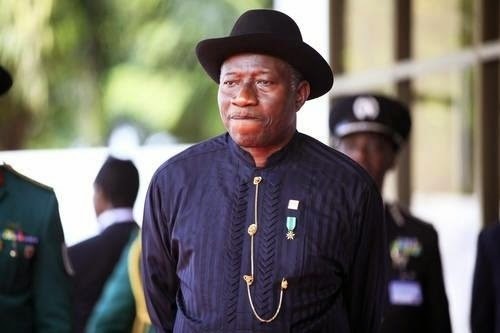 President Jonathan, according to Boko Haram, does not deserve a second term in office. The Islamic terrorist group also commended Buhari for proposing to stabilize the oil market and scrap the office of the First Lady - which it considered to be a drain on the nation’s resources and a conduit through which corrupt government officials stole across all levels of government. The Peoples Democratic Party (PDP) has dropped former Governor of Borno State, Ali Modu Sheriff after initially adopting him as its candidate for Borno Central senatorial zone ahead of February general election. Sheriff's name was conspicuously absent from the final list of senatorial candidates released by INEC on its website. In place of Sheriff, the INEC list contains the name of Muhammad Baba Kachalla, 49, for Borno Central senatorial district. The PDP didn't give reasons for dropping Sheriff but it is believed that it may not be unconnected with scandals surrounding the Ex-Governor with respect to allegations made by an Australian negotiator, Stephen Davis, alleging Sheriff was a sponsor of the Boko Haram sect. Sheriff has since denied the allegation while the Department of State Security also gave him a preliminary clearance after it paraded some seven men the DSS alleged conspired with Davies to tarnish Sheriff's image. The DSS had however said that it was still investigating Sheriff. The PDP had soon after the DSS clearance of Sheriff adopted the Ex-Governor as the party's Senatorial candidate for Borno central which Sheriff had represented from 1999 to 2003 under the defunct All Peoples Party (APP) that later became All Nigeria Peoples Party (ANPP) before merger with other parties to become the All Progressives Congress (APC). Sheriff contested Borno Governorship as an incumbent Senator in 2003 and won the elections. He was Governor from 2003 to 2011. He defected to PDP in 2014 after failing to take control of the APC that was formed months before his defection. Anambra North Women Root For Hon. Dubem Obaze.